Word is out that J.K. Rowling is coming out with a new book, the sequel to last year's The Cuckoo's Calling . Except, technically, it isn't her book at all. It was written by a man named Robert Galbraith. Looking to avoid the intense scrutiny Rowling faced after releasing a book that was not Harry Potter, Rowling chose to publish a novel under a pseudonym instead, and enjoyed her anonymity until the story was leaked. The Cuckoo's Calling quickly became an international bestseller, and its sequel, The Silkworm, will most likely follow in its footsteps. But using a male-sounding name wasn't always Rowling's choice. 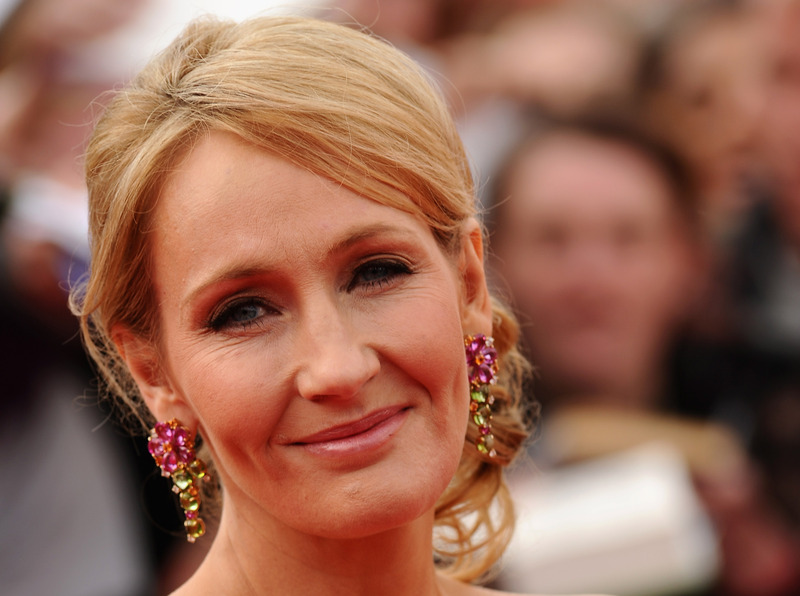 She used the initials J.K. on Harry Potter books because publishers initially demanded it. They were worried that young boys — who they thought would make up her entire readership — wouldn't read the series if they knew it was written by a woman... In other words, one of the bestselling, most respected, wealthiest female authors in living memory has concealed her gender on every book she's ever written. Even though many consumers now know that both books were written by Rowling, The Silkworm will use the same male pseudonym as The Cuckoo's Calling. In many ways, it makes a lot of sense: this is a series we're talking about, after all. And besides, Robert Galbraith, with his rich backstory as a former investigator for the Royal Military Police, seems almost like a Rowling character himself. It would be cruel to kill him off. But Robert Galbraith does raise a far more interesting question: why Rowling chose to use a male pseudonym to begin with. Here at Bustle we considered that question when news of The Cuckoo's Calling first broke, but it's worth revisiting in more detail. First, the obvious: there's nothing wrong with a woman choosing a male pseudonym. There's also nothing wrong with a man using a female pseudonym. Rowling says she chose the name because she "wanted to take my writing persona as far away as possible from me, so a male pseudonym seemed a good idea." Maybe wanting to get distance from her own name was simply part of wanting more anonymity for Rowling. Or maybe, this still didn't seem like the sort of book she 'should' be writing. It's undeniable that for a crime novel with a male lead, writing as a man carries with it a certain sense of appropriateness: Robert Galbraith is the character Rowling cast as the fitting one to have written her book. He's older, with a military background — and he's male. But using a male-sounding name wasn't always Rowling's choice. She used the initials J.K. on Harry Potter books because publishers initially demanded it. They were worried that young boys — who they thought would make up her entire readership — wouldn't read the series if they knew it was written by a woman. And since Rowling doesn't have a middle name, she had to make one up (this was before JK became Internet speak for "just kidding," but it does make for a humorous coincidence). In other words, one of the bestselling, most respected, wealthiest female authors in living memory has concealed her gender on every book she's ever written. Sexism in publishing isn't Rowling's fault, nor is the fact that people tend to associate crime novels with male authors. Her choice of pseudonym is her choice — and personally, I've grown rather fond of Galbraith. But it must be noted that Rowling has consistently been writing books that publishers think would best be written by a man. When the editor for The Cuckoo's Calling learned the true author he reportedly said, "I never would have thought a woman wrote that." Really, he didn't? Because the most successful series of our generation, one beloved by fans and critics alike, was written by a woman. It's about time we let all these assumptions go, and get that much closer to a world where a Roberta Galbraith is just as fitting a pseudonym.